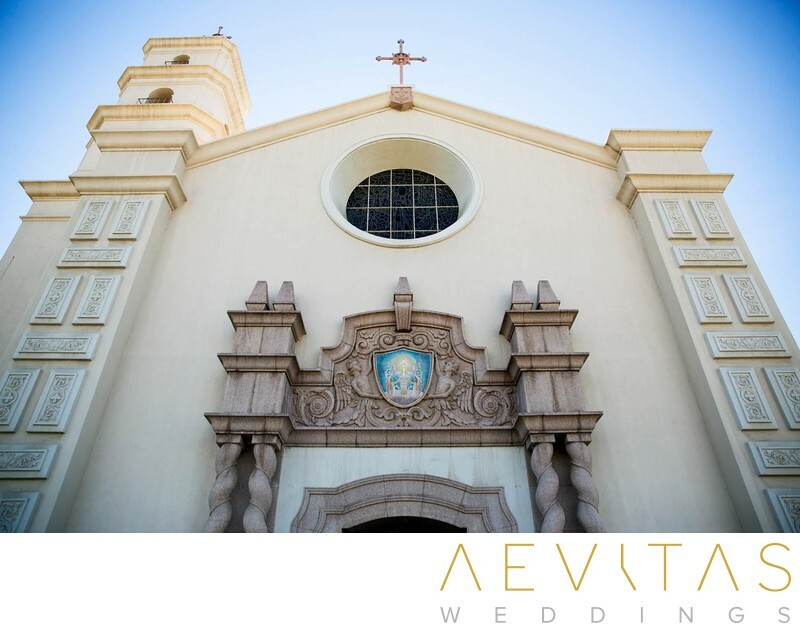 Located in the city of Pomona, the grand, whitewashed Saint Joseph Catholic Church is a popular wedding ceremony location for couples of the Catholic faith. It’s well-lit and spacious interior can hold a few hundred wedding guests, with elegant decorations and religious motifs providing a traditional religious backdrop. Unlike many churches which are dimly-lit, the natural light that pours through the windows of Saint Joseph Roman Catholic Church is perfect for capturing wedding ceremony photographs, with no need for flash or external lighting. Flexible photographic rules also allow for close-up candid shots as you exchange vows with your loved one, as well as the opportunity to capture not only your expressions, but also those of your bridal party and family. While Saint Joseph Roman Catholic Church is beautifully adorned with traditional Catholic figures and artwork, they do allow for some customized decorations and floral arrangements. This means that you can add some personal elements and color to your wedding ceremony, whilst still retaining the religious significance of this House of God. You can have a full Catholic ceremony, including rites and rituals that are important to you and your family, or opt for a shorter exchange of vows with your own officiant and more personalized elements. Capture couple portraits, bridal party portraits and family formals in front of the altar at Saint Joseph Roman Catholic Church after the ceremony, or head outside to the courtyard to include the classic architecture of the church in your wedding photos. Alternatively, you can plan a portrait session at another nearby location before your wedding reception venue. Saint Joseph Roman Catholic Church is an ideal choice for couples wanting to hold their wedding ceremony in a House of God that holds significance to them, whilst still having ample natural light to capture stunning wedding day photos.